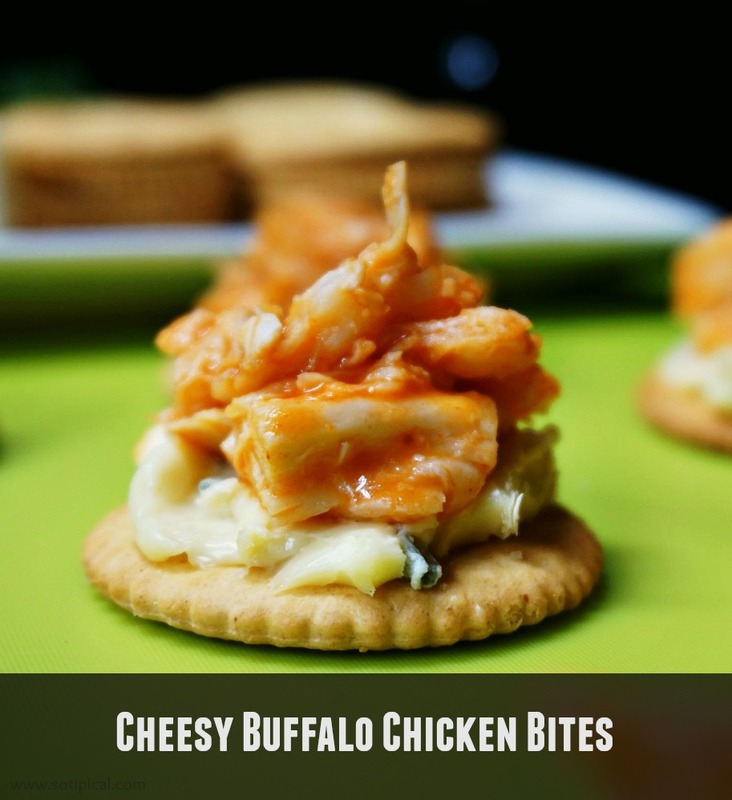 Cheesy Buffalo Chicken Bites just became our new go-to snack for watching football! The month of January is typically my time to plan for the big game. I plan out new recipes and fun ways to celebrate when we get together with friends to watch play offs or the championship game. 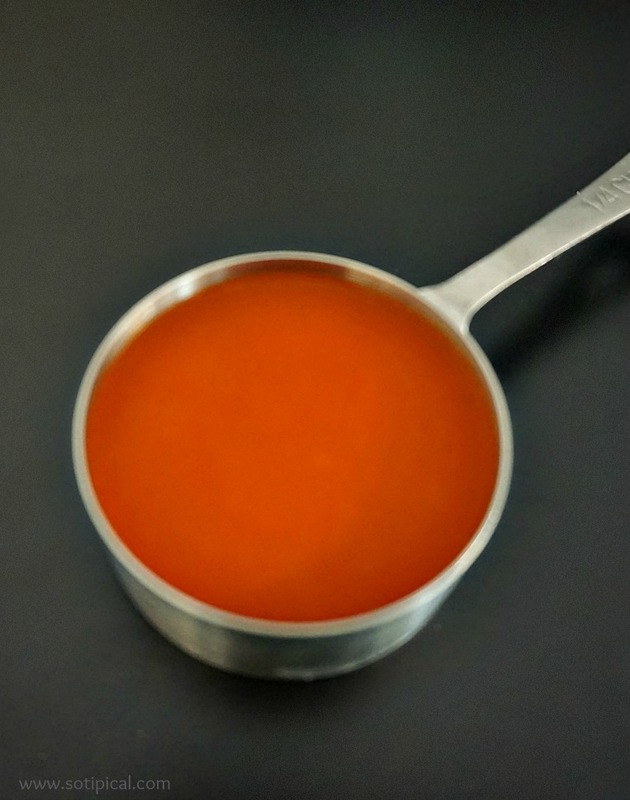 We have a love for the flavor of buffalo sauce so I try different ways we can enjoy it. My girls love football gatherings. Not for the football part, but for the FOOD! They often request “football food” for dinner on the weekends. They love finger foods and appetizers. Now you may have seen me mention that even though they are fantastic eaters, they are also very picky in two areas. 1. They dislike 99.9% of all breakfast foods, and 2. They do not like sandwiches. They love bread, but not sandwiches. So over time, I discovered that if I put sandwich ingredients on a Ritz Cracker, they will eat it. They wouldn’t eat the buffalo chicken sliders I made last time. That is when I said that there will be Ritz Crackers involved next time and it was a big hit! Having lived on the east coast, I was introduced to buffalo wings served with blue cheese. It wasn’t until I visited California, that I was served ranch with my wings. I love the flavor of sharp or pungent cheese, so I’ve always preferred blue cheese. My kids do not, so I found that Cambazola cheese is a perfect substitute. Its a combination of brie and blue cheese. More mild and very smooth and creamy. I like to keep some on hand because we all like it. 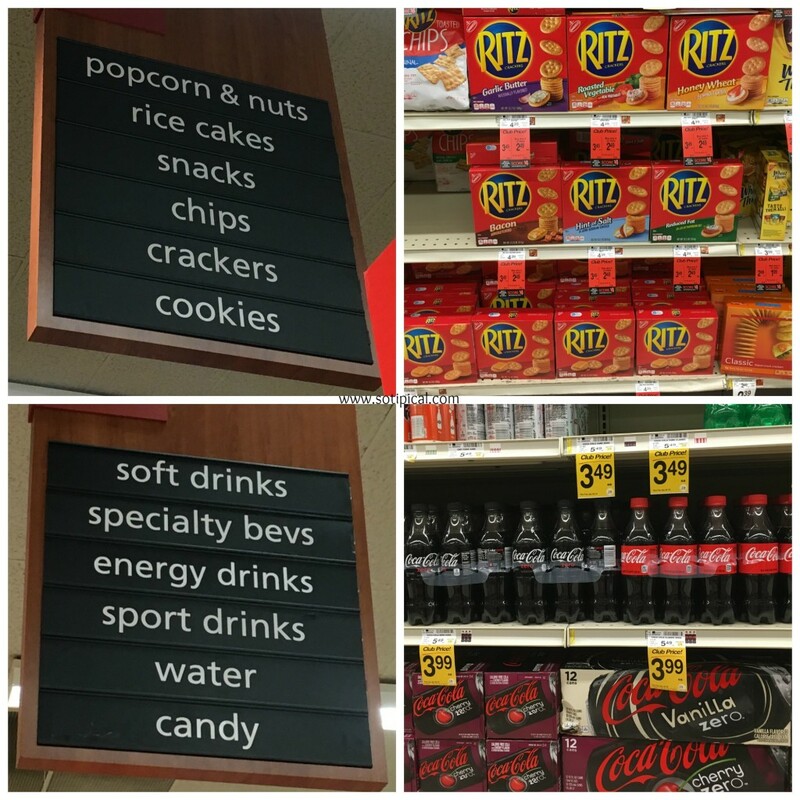 I headed over to Vons yesterday morning and picked up Ritz Crackers, Coca-Cola and buffalo sauce. 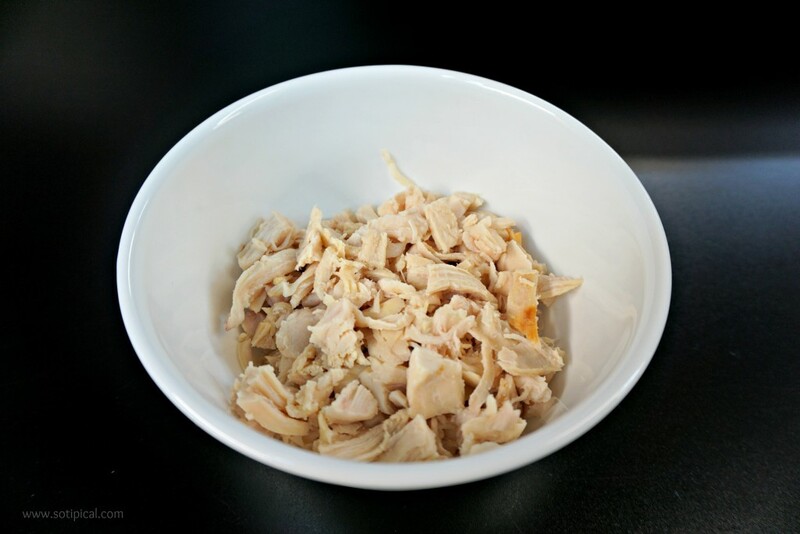 To make the recipe even easier to prepare, I decided to use rotisserie chicken. You can literally make this appetizer in about 15 minutes! Begin by cutting chicken into very small pieces. Make sure the chicken is a little warm, but not too hot. I heated the 2 cups in the microwave for about 20 seconds. Add 1/4 cup Buffalo Wing sauce and combine well. Now you will spread a layer of Cambazola cheese on each Ritz Cracker. 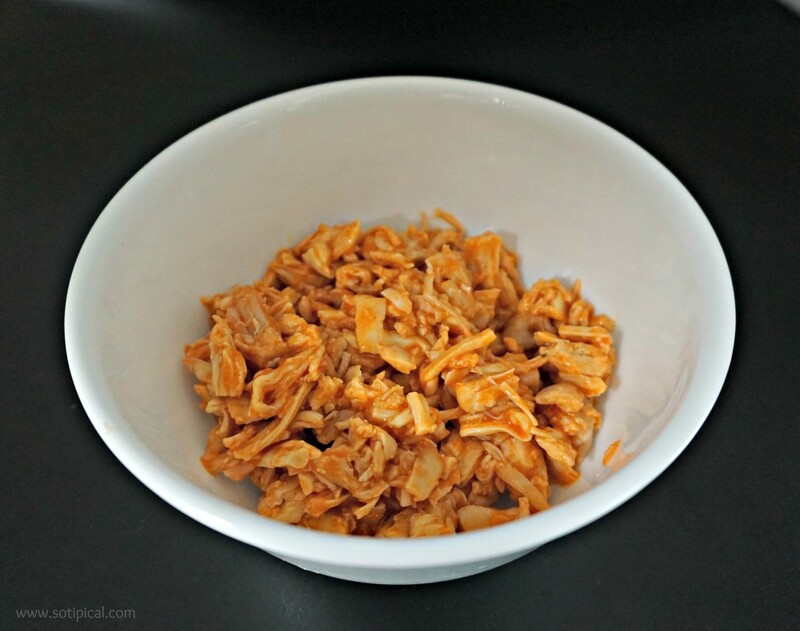 Once done, add a spoonful of the buffalo chicken mixture on top of each Ritz Cracker. Once complete, arrange on a serving tray or platter and enjoy! Yield is about 24 cheesy buffalo chicken bites. Pretty soon, the football shaped Ritz Crackers will be available at Vons and Albertsons stores. 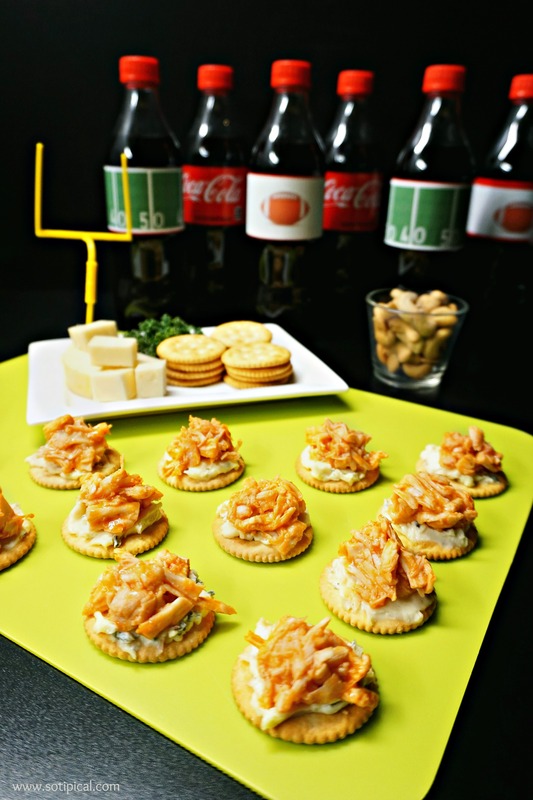 How perfect would this recipe be when served on a football shaped Ritz Crackers while watching the game?! 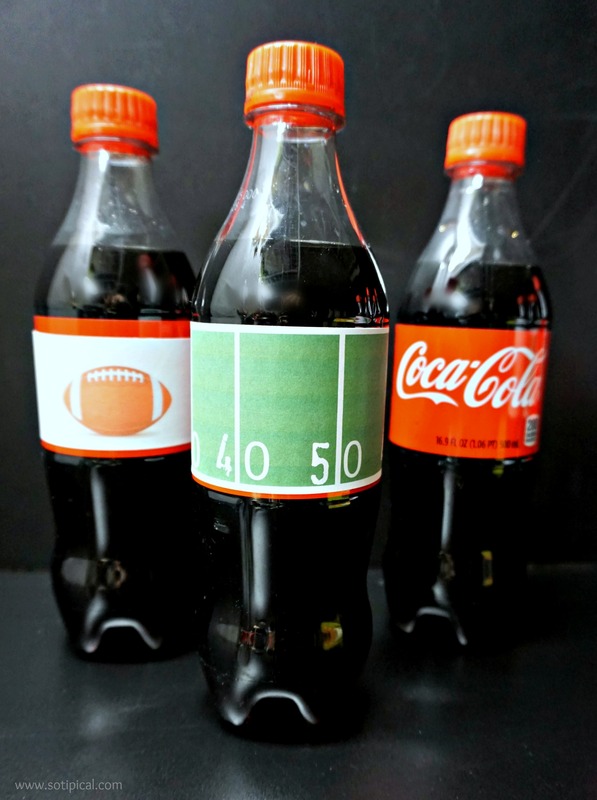 To make things a little more festive, I decided to find some printable football themed labels for my bottles of Coca-Cola, which is a great way to cool down from the spice of the buffalo sauce! That is where I found the football field labels. My daughter created the other football label. I think they look so cute and festive. I will definitely make more for the big game! Another recipe we’ll have for the big game is for Coke Floats. As a child, my mom would put equal parts of Coca-Cola and milk in a tall glass. She would add a big scoop of vanilla ice cream and whipped cream on top. We loved this special treat and had we not been out of ice cream, we would have been enjoying some last night too! Check out these links for more great recipe ideas and game day party inspirations. 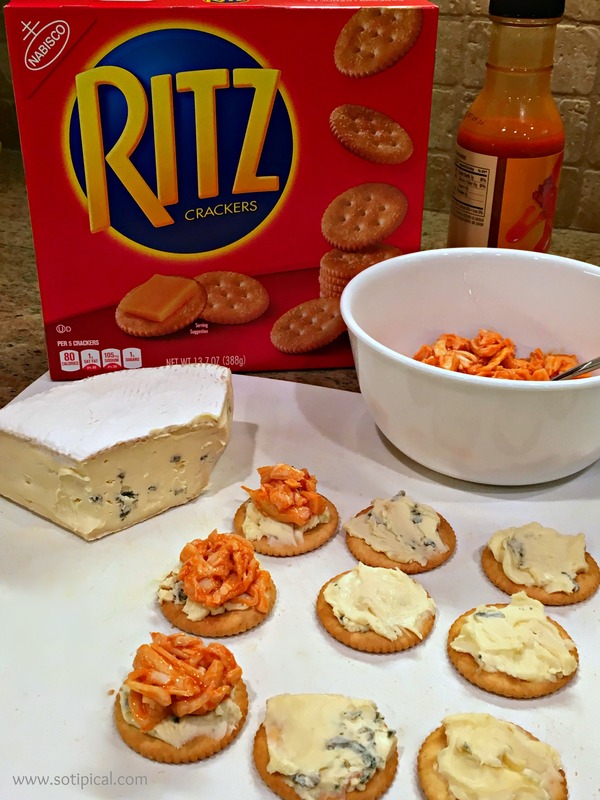 What is your favorite topping for Ritz Crackers? I’d love to know in the comments! These look so good! Me and a friend were just discussing how we think we’re getting sick of plain old buffalo chicken dip since it’s served at EVERY party. This is a great switch up from that!